The cut of a diamond is the most important factor in determining its price because it affects all the other aspects (the 4 C’s) of the diamond. Cut is also the most difficult aspect to grade. 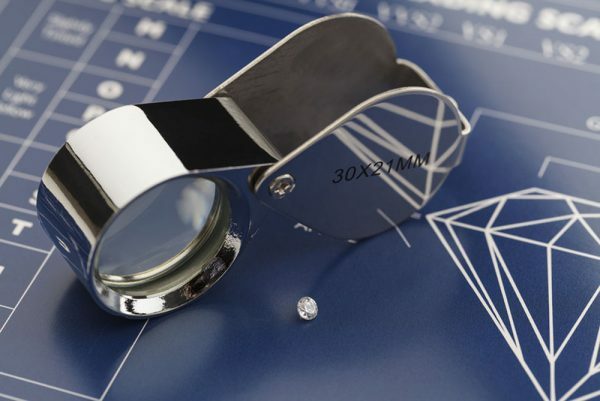 Diamonds are small and the clear edges are hard to see and measure so even some certified gemologists have trouble grading cuts accurately without extensive training and the aid of instruments. It’s takes a lot of time, patience, technique, and talent to get it right. If a diamond is cut poorly it affects it’s brilliancy and the diamond is then considered less beautiful and, as a result, is less valuable. Unfortunately, many jewelers today are not adequately trained to grade diamonds correctly and they don’t realize that only a small percentage of the diamonds sold all over the world are properly cut. This is unfair to those who buy the diamonds because they trust the gemologist’s grade of the diamond. It’s too hard for an untrained eye to see the difference. However, Underwood’s jewelers are properly trained to grade diamond cuts. You’ll never have to worry about a misgraded diamond or a poorly cut diamond with us. Because of our dedication to quality products, we only accept 5% of the diamonds we are offered each year. We take the time to make sure that we only sell the best diamonds to our customers because we take pride in having happy customers with the most beautiful diamonds in the area. That’s also why our diamonds are so brilliant and dazzling. Underwood’s diamonds are the cream of the crop! Make sure to stop by the store in Downtown Fayetteville and peruse our collections of diamond rings, earrings, necklaces and more. No matter what size diamond you are looking for, we can assure you that it will be the highest quality. You’ll be proud to show it off to your friends and family.